Are you or your business hosting or participating in a corporate, social, or community event of any sort? 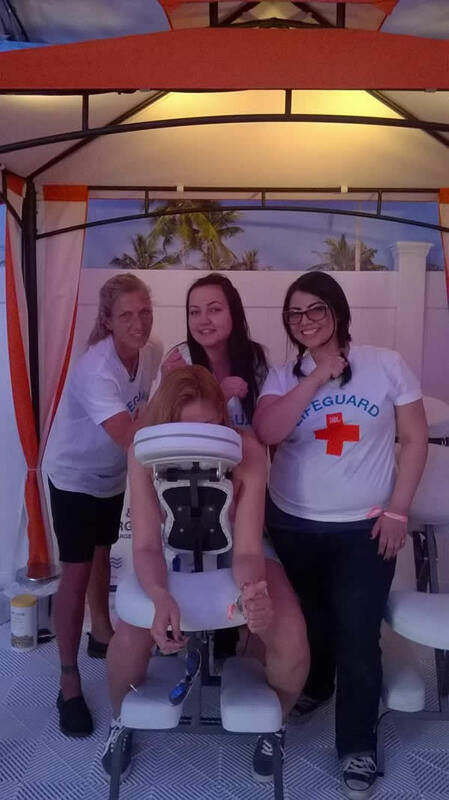 Well, nothing says an event like fun, relaxing activities…and nothing says fun and relaxing activity like an event chair massage station at your corporate, social or community event. If you are hosting or participating in a trade show anywhere in or around the Scottsdale or Phoenix Arizona, Las Vegas or Southern California areas, we can help make it memorable and prosperous in every way! A Magic Touch loves to help businesses, organizations, and also event organizers facilitate fun, relaxing and rehabilitating, pampering experiences only professional and proficient therapists can provide. Our comprehensive staff of highly trained, licensed and insured massage therapists will help serve attendees of many different kinds of gatherings—including trade shows, conventions, conferences, corporate events, sporting events, grand openings, national marketing tours, health fairs, retreats, weddings, and even pool parties. Because we have over 40 therapists on staff, we can accommodate events of any size and attendance level. What Is Event Chair Massage? Event chair massage is also known as seated or corporate chair massage. It is perfect for public gatherings because the chairs are portable, sturdy, easily cleanable and maintenance, and require much less space than tables. Additionally, chairs are appropriate for these kinds of venues because people do not remove articles of clothing such as shirts and pants during these sessions. Since the sessions are usually we offer 10, 15, 20 and 30-minute massages with a 1-hour minimum. many different attendees can experience our magic hand's difference within a relatively short span of time. Event chair booths will draw potential customers in for more discussion, help with sales lead generation, and of course, give a positive spin to the marketing of your company’s products. Tradeshow booths featuring our therapists are usually some of the busiest and many times, revisited of any booth at every event. In addition, our licensed and insured technicians and estheticians are also available to provide a wide variety of spa treatment services—including mini-facials, manicures, and pedicures. These services and more are also a great way to make your product or booth stand out from the sea of choices. After all, both current and prospective clients absolutely love to be pampered and appreciated…so do both and more by giving them our magic hands! Your customers and clients are the backbones of your business, there is no disputing that fact. Without their loyalty—not to mention the positive word of mouth advertising and other professional benefits that come with providing the excellent customer service and attention to detail that sets you apart from the competition, your business would not thrive. Event chair services are a fabulous way to show appreciation for existing and new customers and clients—especially when we help you arrange a corporate party, or a VIP room with either chair and/or table therapy services available. If you own storefront goods or service-based business of any kind, Event Massages with a 3 event chair massage service can be an excellent way to thank returning customers, as well as draw many potential customers into your business space. The possibilities and venues are endless, and we love to help your business succeed by doing what it is that we do best! Allow our licensed, insured, highly experienced, professional and courteous staff to make your next event memorable. 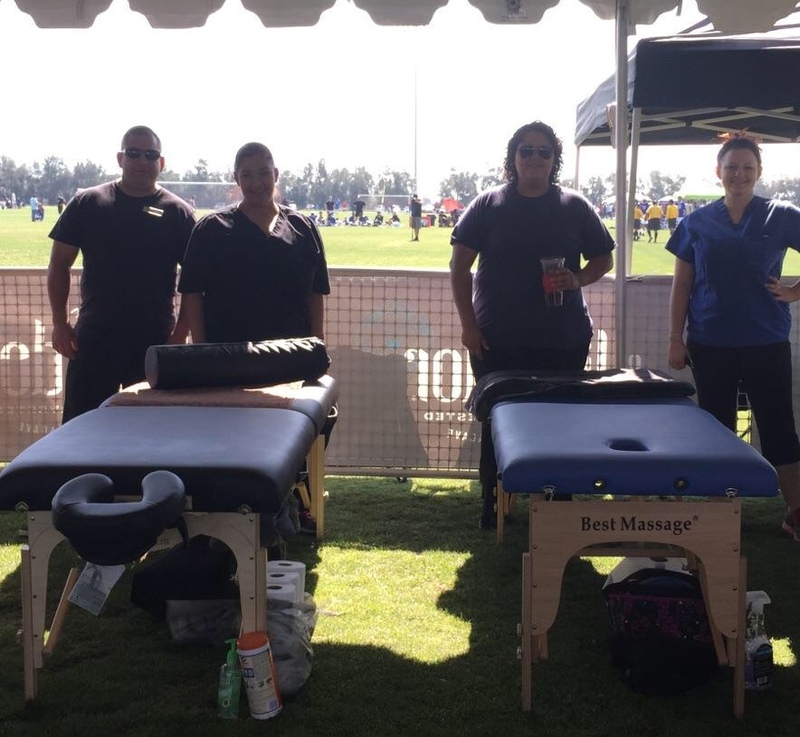 If you reside in or around the Scottsdale or Phoenix Arizona, Las Vegas or Southern California areas, we can schedule your event chair massage service with a minimum of one-hour booking commitment per therapist. These services can sometimes be scheduled the same day, but the more notice you provide us with the better. We require a one-hour non-refundable deposit at the time of booking for all event chair massage services other services include packages of 10, 15 and 20 minute massages all packages require 2-hour minimum Please do not hesitate to contact us for more information about our event services, to schedule services, or with any other inquiries you might have.